Recently, I was impressed by the main character of Zootopia, Judy Hobbes. 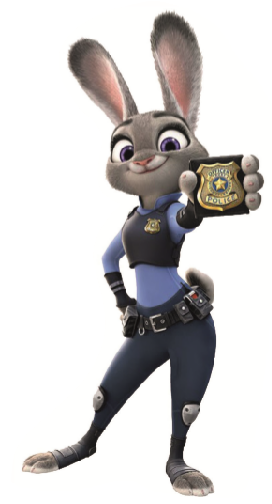 She is a confident rabbit whose dream is to be a police officer and make the world a better place. Although her friends, boss, and even her family advise her to choose the safe and ordinary road in life, telling her that no small animal has ever been a police officer, she never gives up on her dream, doing all that she can to attain success by capturing a chain of suspects in the missing-mammals case. However, due to her ill use of words, prejudice towards predators rises and social conflicts escalate between animals of prey and predators. Realizing the public influence of her positon on the world and people, she reflects upon her attitude and addresses her own prejudice towards predators first. She corrects her mistake and makes the world a better place. After becoming editor-in-chief, I strove to be a good leader and to make a better journalistic environment in order to provide better coverage and articles. I thought I could make it as I thought it should be. Sadly, reality was different; I had to do many administrative things and consider not only SMT reporters but also our affiliate companions outside the school. Confused and full of anxiety, I feared change and wanted the Sookmyung Times to simply maintain its current state until my retirement. Despite my hope, the Sookmyung Times changed. It publishes one less hardcopy magazine a month and instead, it publishes one online magazine on the magazine website and sends out information by a SNS once a semester. Also, SMT has restructured and has a new affiliate design company, reporting styles, members, and so on. I was busy with all the sudden changes, and as editor-in-chief, I have had to consider whether the change was right for the Sookmyung Times. Those considerations and the time I spent agonizing on them made me feel the power in my position, and I recognized how my opinion mattered and that I needed to make suitable decisions. I have grown to be goal centered yet calm, and once the changes were set in motion, I saw benefits and advancement in the Sookmyung Times. May is the turning point in Spring Semester. Spending a focused May could result in a happy end to the semester, but if you waste the time and don’t put forth much effort, it won’t end happily. Therefore, focus on yourselves and think deeply about your current state in life. Despite your initial feeling—be it good or bad—the most important thing is to first know where you are now. It will lead you to become more self-oriented and provide you the means of adjusting your weaknesses and developing your strengths. Knowing yourself is the only key to change in life.